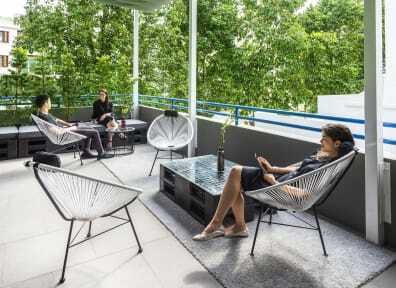 COO Boutique Hostel is designed by multi-award winning design firm Ministry of Design and offers a playful yet chic design concept inspired by the memories of its culturally rich neighbourhood of Tiong Bahru. Besides free breakfast, you can have access to free wifi throughout the property and be assured of 24 hour security and convenience of a 24 hour reception. COO Boutique Hostel is located in Tiong Bahru which is loaded up on decades of history but yet a fun and modern neighbourhood. Soak in all the cultural and architectural hotspot has to offer and enjoy authentic local food or modern cuisine in one of the many eateries. Have a laidback afternoon just strolling the small streets lined with boutiques and design stores. COO is within walking distance to Outram Park MRT or less than 10 mins drive to Orchard Road and Chinatown! 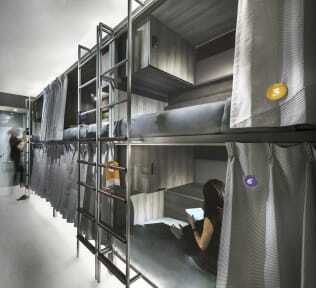 All the rooms are fully air-conditioned and comes with options for ensuite or shared bathrooms and toilets. Every bed is equipped with a private combination locker to keep safe all your finds from your travels as well as international socket to charge all your electronics. You can enjoy the comfort and privacy of beds with fluffy pillow, comfy duvet and quality linen set or step out of your rooms to relax at the open terrace or have a drink at the bistro. Taxes not included - tax 7.00% and service charge 10.00 % per person per night. A cash deposit of $50.00 is required and will be full refunded upon return of security wristband and towel. Our property is not suitable for children. Minimum age of guests is 18 years old. One of the best hostels ever stayed in. Super friendly staff, arrived later then planned but still no issue. On day of check out they allowed us to use the showers as we had a very late flight. Location is fantastic and a great late night food place right next door. Rooms were the fantastic, super private in the dorms and air con worked fantastic. Nice big showers were a treat too, and lastly for the price, could not get better in Singapore. Will stay here again for sure! Lovely hostel in a great loaction, 5 minute walk from the metro station. Staff were so nice and helpful i could praise them enough. Nice, edgy, modern hostile. Breakfast was good, dorms with ensuite were great and organized. Breakfast was good. Only thing I'd change would be the location. Would prefer something a little closer to the metro or popular area. Great accommodation and facility. Great bedrooms, comfortable beds & air-conditioned. Good location for walking to all the Robertson Quay bars and restaurants. Breakfast provided each morning is a bonus too! I enjoyed my stay at Coo, the staff were friendly and helpful. The break fast was simple but perfectly set me up for the day. There were small lockers in the bed area but difficult to fit much in if you’re on the top bunk. Showers and toilets were fine but only two available on the floor which meant there was almost always a queue. Free water available which was brilliant as it’s so hot. Thanks Coo for my stay. This place looks posh and elegant but it rather far from it. Don't let the lights and colors fool you this is your basic cramped hostel with prettier colors. The hosts here seem to do well in customer service but lack a great deal of hospitality and warmth. Every time myself or my friends would come to the lobby they would look at us weird. Never once did they smile or say good morning when they saw us. the rooms are super cramped, to the point that its nearly impossible to move.